It's the last day of May but Nymph Lake is still in the process of unthawing after a long cold winter. Ice still floats on the surface of Nymph Lake and snow from winter still lines the shore of Nymph Lake. 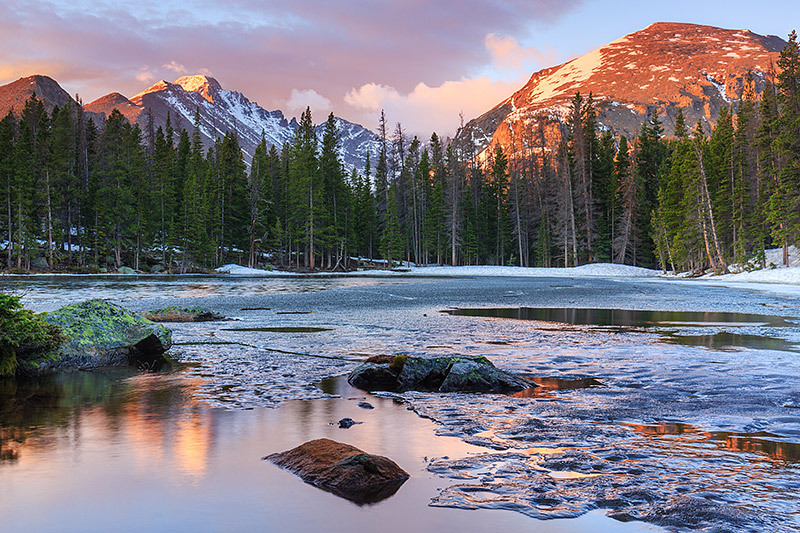 In this view, the wind is scene streaming clouds over the summit of Longs Peak and Otis Peak as the sunrise puts on a show of color in the skies over Rocky Mountain National Park. Photo © copyright by Thomas Mangan.